The second ever IRC European Championship took place in the south of France over four days last week for an international fleet of 53 boats. 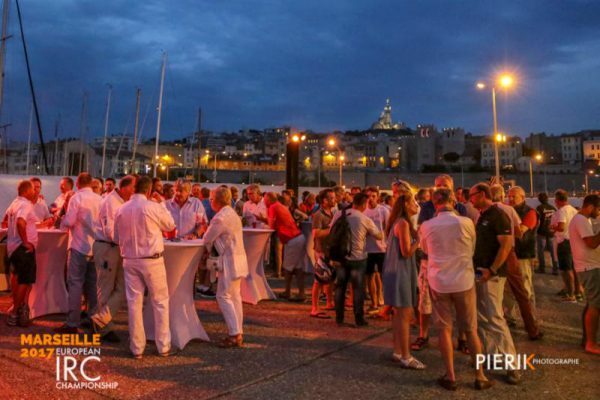 While last year the inaugural event was incorporated into Volvo Cork Week, this year’s IRC European Championship was a stand-alone affair, held off Marseille, the 2017 European Capital of Sport and the potential 2024 Olympic sailing venue, should Paris win its bid. It was run by the Union Nationale pour la Course au Large (UNCL), in conjunction with the three Marseille clubs, Centre Nautique et Touristique du Lacydon (CNTL), Société Nautique de Marseille (SNM) and Union Nautique Marseillaise (UNM) – the first time they had organised a major international regatta together. 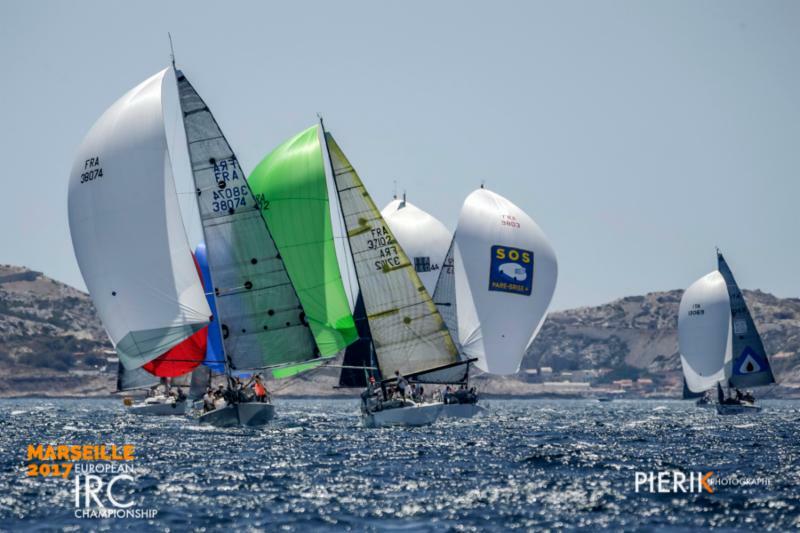 The Marseille 2017 IRC European Championship title was open to boats with an IRC TCC of 0.900 -1.400. In practice entries ranged from 31 footers to TP52s, with IRC, the rating rule of the Royal Ocean Racing Club and UNCL, creating a level playing field for all. 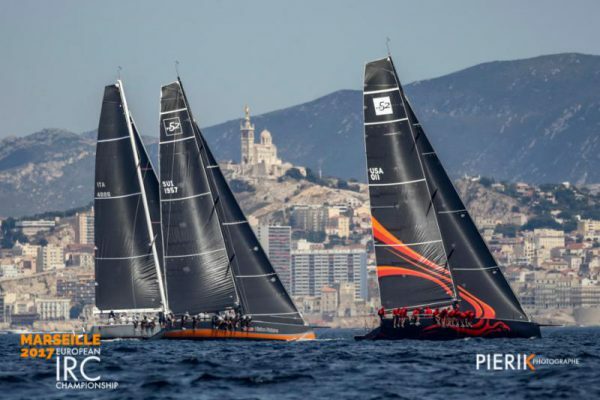 Racing was held on windward-leewards and longer courses around Marseille’s off-lying Frioul islands in conditions ranging from light on the first two days, building over the weekend into the high teens. IRC Zero for the fastest boats, featured four TP52s and the Italian Cookson 50, Endless Game, helmed by Spanish double Olympic medallist Luis Doreste Blanco. 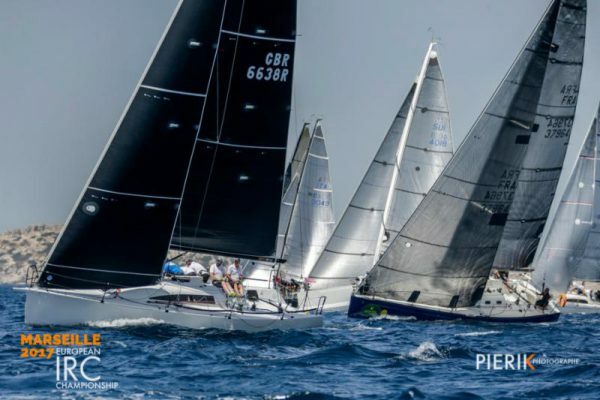 The longest boats were the Swan 601, Lorina 1895 and the Wally 60, Wallyño, which, despite the grand prix competition, led IRC Zero after day two. However ultimately crowned 2017 IRC European Champion was one of the smallest boats: the JPK 10.10, Expresso 2 racing in IRC Four. Owner Guy Claeys regularly races shorthanded, but on this occasion Expresso 2 was sailed with a full crew including Olympic Soling sailor turned sailmaker, Sylvian Chtounder. Training, plus new sails for the event, contributed to the St Tropez-based team’s success and across the series they achieved a near perfect score line, discarding a second. But their championship victory was far from clear-cut. Expresso 2 prevailed thanks to being in the most popular class and three larger boats finished on similar points: Dominique Tian’s Ker 46 Tonnerre de Glen, winner of IRC One; Pascal Fravalo’s A-40 Geranium Killer (featuring two time Olympic sailor Dimitri Deruelle) winner of IRC Two and Simon Henning’s Farr 36 Alice, which prevailed in IRC Three. 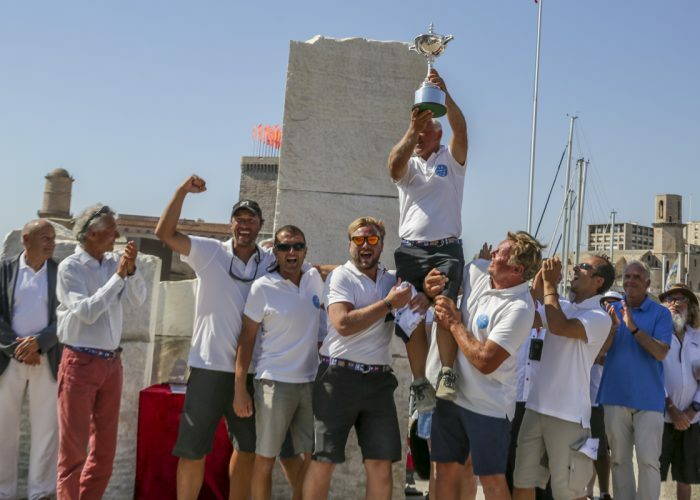 With the exception of Alice, all this year’s winners have also been this season’s top performers on the UNCL’s Mediterranean IRC Championship. The 1994 vintage Alice, originally owned by Vendée Globe skipper Mike Golding, was the sole British entry in this year’s IRC Europeans and impressively counted no points worse than a second. Surprisingly in IRC Three, the top three boats were all Farr 36s, Alice and Frantz Philippe’s second-placed Farr 36 Absolutely, recent winner of the inshore racing at Rolex Giraglia Cup, both IRC-optimised by designer Mark Mills. 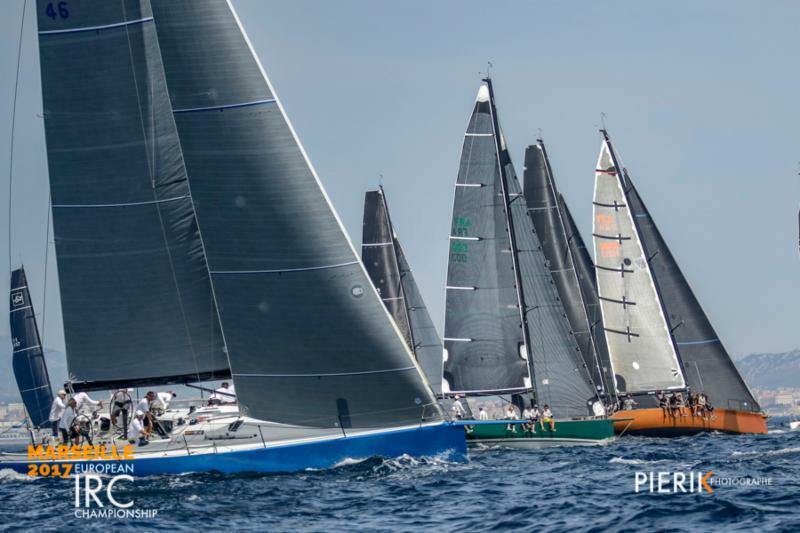 They and Week End Millionaire all overcame race favourite, Gilles Pages’ Sun Fast 3600 Tip, present leader of the UNCL’s 2017 Mediterranean IRC Championship. In all four classes mentioned the winners were all stand-outs, none more so than Expresso 2 which won IRC Four on seven points to the Forestier family’s Elan 333 GTE Fioupelan in second on 28. This was not the case in IRC Zero, where after eight races, the top three finished within four points. Ultimately local favourites, Dr Jean-Jacques Chaubard’s TP52 Team Vision Futur won, a mere point ahead of Hasso Plattner and daughter Tina’s heavyweight crew on their newly acquired Phoenix.